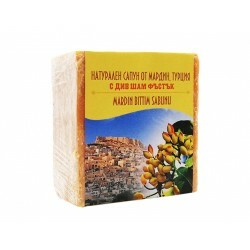 Enjoy the exciting range of natural products for the bath and the bath in Zdravnitza - Bulgarian, healthy online shop. 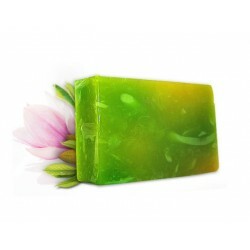 Wide selection of 100% natural soaps, caring for the health and beauty of your skin in a online health store "ZDRAVNITZA". Wide selection of 100% natural shower gels, caring for the health and beauty of your skin in a online health store "ZDRAVNITZA". 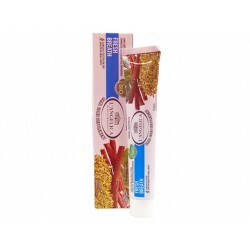 Variety of natural and homeopathic toothpaste in Zdravnitza - Bulgarian, healthy online shop. Wide variety of natural products that take care of your intimate hygiene in online health store "Zdravnitza". 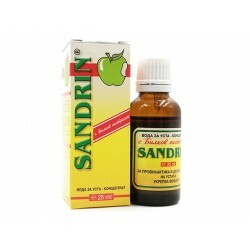 "Sandrin" is concentrated mouthwash with herbal extract - a great tool for maintaining the oral cavity and gums. 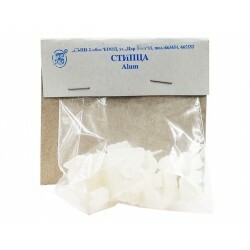 Alum is a type of chemical compound, usually a hydrated double sulfate salt of aluminium. 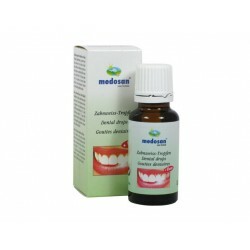 Can be used in: bleeding gums and periodontal disease. Soap made from natural mud extracted from the mineral-rich depths of the Dead Sea. Extremely effective in treating psoriasis and problematic skin. Suitable for all ages including children. For all skin type. 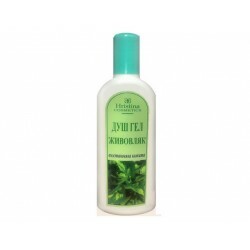 Contains vetiver and citronella oils and extracts of marigold, chamomile and nettle. Suitable for all ages including children. For all skin type. 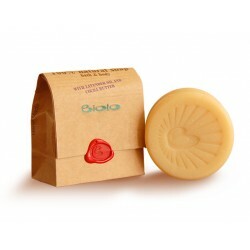 Contains ylang-ylang butter and extracts of marigold, chamomile and nettle. Suitable for all ages including children. For all skin type. Contains lavender oil and extracts of marigold, chamomile and nettle. Natural liquid soap for hands. Cleans, hydrates and nourishes the skin. Suitable for all skin types. Contains vetiver and citronella oils. Natural bath soap. Cleans, hydrates and nourishes the skin. Suitable for all skin types. Contains ylang-ylang oil and cocoa butter. Natural bath soap. Cleans, hydrates and nourishes the skin. Suitable for all skin types. Contains lavender oil and cocoa butter. Natural bath soap. Cleans, hydrates and nourishes the skin. Suitable for all skin types. Contains vetiver, citronella and shea oil. 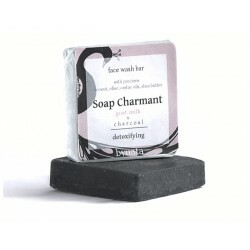 Soap Charmant formula works effectively on all skin types, including sensitive skin, and is particularly suitable for acne prone skin. Dental Drops teeth whitening drops are suitable for removing stubborn stains that do not lend themselves to daily brushing or brushing. Natural soap with wild pistachio oil and apricot kernel oil has a beneficial effect on hair loss, dandruff, acne, eczema, fungus, and more. 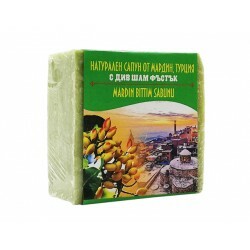 Natural soap with wild pistachio has been produced for hundreds of years in Mandarin, southeastern Turkey. 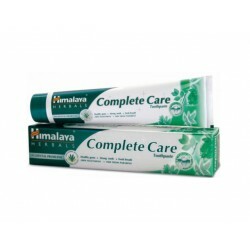 The herbal formula for overall care contributes to healthy gums, strong teeth and fresh breath. Provides 12-hour microbial protection, removes plaque. The herbal formula for overall care contributes to healthy gums, strong teeth and fresh breath. Provides 12-hour microbial protection, removes stains and plaque. 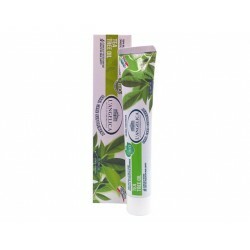 Set of Ayurvedic Tooth Care - Bamboo Brush for Adults - Biodegradable and Mint Fresh herbal toothpaste. 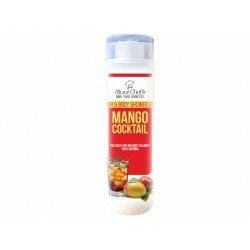 Refreshes and reduces the bad smell in the mouth. Set of Ayurvedic Tooth Care - Bamboo Brush for Adults - Biodegradable and Sensi-Relief Herbal Toothpaste. To relieve the sensitivity of the teeth. Set of Ayurvedic Tooth Care - Bamboo Brush for Adults - Biodegradable and Whitening Toothpaste - Sparkly White. White teeth in just two weeks. The natural purifyng properties of fennel deriving from the nutraceutical experience, combine with mint and liquorice to bestow a pleasant sensory experience. 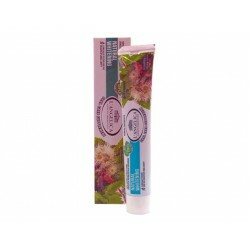 Herbal toothpaste made of active principles of Calendula and Lemon Balm. For a quick relief against sensitive teeth. 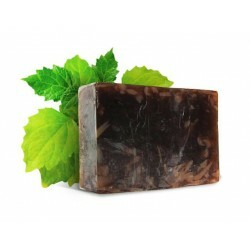 The natural soap contains Pomorie (Black Sea) lye, which acts anti-inflammatory. A product useful for the skin and the body. Natural soap with sea mud ensure gentle deep cleaning removes dirt and excess fat, maintain the natural moisture content of the skin. Liquid hand soap formulated with the finest plant extract. Persian jasmine, enriched with mild warm vanilla combined with delicate herbal bouquet. Light Mediterranean fig in addition with fresh green flavor, combined with subtle heart hint of patchouli. Fresh iris complemented with a light fragrance from the flowers of orchid and highlight delicate touch of ylang ylang. Liquid hand soap formulated with the finest plant extracts and gentle to the skin and senses ingredients. Sparkling and lively - the equivalent of a bright sunny day. Liquid hand soap formulated with the finest plant extracts and gentle to the skin and senses ingredients. Parabens Free! All-natural product! Deep moisture, hand-made soap, capturing all the scents and sensations of a summer day, hidden under a creamy foam secret blend of pure essential oils. Elixir of youth. 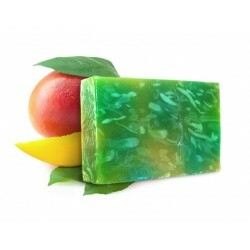 Rich in antioxidants, soap is soothing, relaxing and toning skin effect. Nourishing formula is enriched with oils of avocado and cocoa. 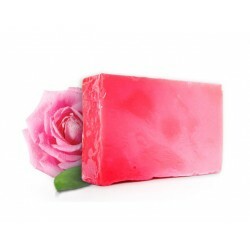 Enriched with soap and extract oil from Bulgarian Rose - "Queen of Flowers". Nourishes, soothes and improves skin elasticity. Fights free radicals. Cleaned and washed the whole body skin while restoring its elasticity, moisturizes, nourishes and protects the skin. 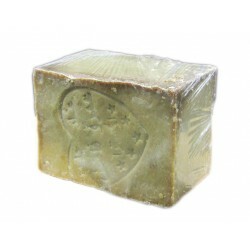 Aleppo soap made from olive and laurel oil. Contains no additives, preservatives and perfumes. It is free of mineral or animal fats. 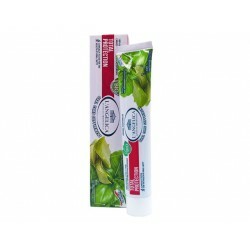 Toothpaste with Spirulina and minerals from the Black Sea take care of the health of the gums and strengthen teeth. 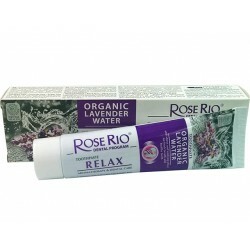 The combination of organic lavender water and Peppermint oil has strong anti-inflammatory effect and cooling effect. 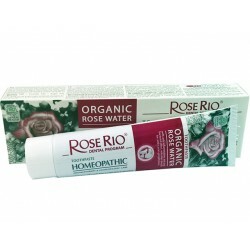 Homeopathic toothpaste Rose Rio with 100% Organic Rose water prevents the accumulation of plaque and care for the health of the gums. 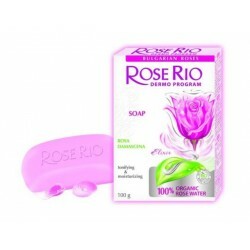 Toning and moisturizing soap for hands and body with 100% organic rose water. 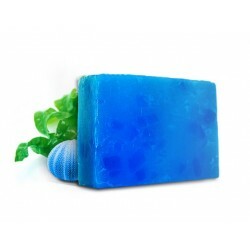 Gently cleanses the skin, making it soft and supple, and gives a pleasant aroma. Moisturizing and refreshing shower gel Body 100% Organic Rose Water. Intense hydration and effective cleaning in a unique fresh product. Gentle enough formula for hair and body for the whole family. The formula is enriched with mango butter, almond and olive oil that cares and protects the skin and hair. Transforms the hair and skin from dry and damaged by strong, shiny and smooth. Formula enriched with allantoin for smoothness and softness to skin and hair. Gentle formula for hair and body. The formula is enriched with butter white rose, almond and jojoba oil that cares and protects the skin and hair. 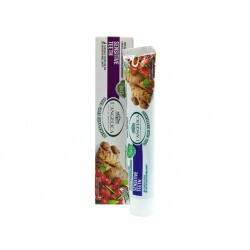 It contains natural extracts of raspberry and valuable vitamins. Perfect for dry skin and hair. Gentle enough gel for washing babies and children. Enriched with jojoba oil and vanilla oil restores softness, shine and vitality to the hair and protects and hydrates the skin. Specially formulated with geranium oil and cherry oil, and olive oil to enhance the glow and keep hair color from fading. 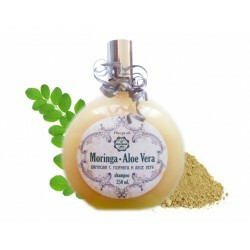 Shower gel with plantain washed well the body by restoring acid-base balance of the skin and maintains its elasticity. Gentle formula for hair and body for the whole family. The formula is enriched with coconut oil, almond and olive oil that cares and protects the skin and hair. Enriched with jojoba oil and olive oil, shower gel for hair and body, deeply nourishes the hair, scalp and skin. Nourishing Shampoo for everyday use for all hair types and skin. Grape seed oil has a soothing and regenerating effect on hair and skin. Specially designed for oily hair and without volume. Enriched with jojoba oil, oil, mandarin and vitamins A and E.
Unusual experience for body and hair with a slight cooling effect. 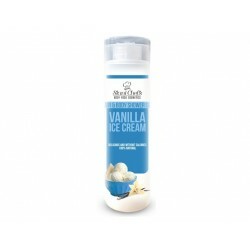 Enriched with almond and peppermint oil refreshes and tones skin and hair on the body. Smoothes, polishes and energizes. Eliminates the top layer of dead cells and leaves a feeling of silky soft, clean and new Younger skin. Enriched with oil of blueberry and almond oil. Suitable for all skin types and hair. Excellent option for use and for infants and children. 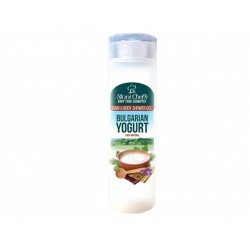 Specialized formula with Bulgarian yoghurt - a powerful skin regenerator. Refreshes and moisturizes the skin, provides essential and everyday hydration. 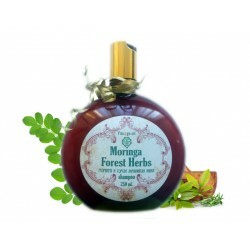 Moringa Shampoo will leave your hair with volume, soft, sheer, shiny and nourished in depth, providing a request for a new life with a pleasant aroma oils. 100% natural soap with Himalayan salt cleanses the face, hands and body, but also has nourishing and moisturizing effect.